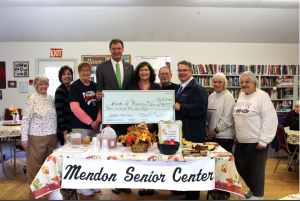 Boo-tiful day today at the Sutton & Mendon Senior Centers! 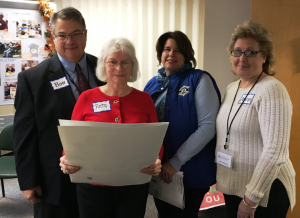 The Worcester County Sheriff’s Office & Central Massachusetts Agency on Aging were thrilled to stop by at both senior centers today to present them with an Elder Care Grant Award. 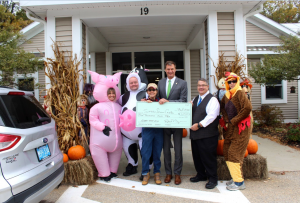 In Sutton, it will help to provide much needed transportation services for seniors receiving chemotherapy, dialysis and eye surgery appointments and in Mendon it will go towards weights and equipment for strength training and overall wellness. In all OVER 8 Thousand dollars will be distributed to help seniors throughout Worcester County. A great day & especailly fun to visit on Halloween! 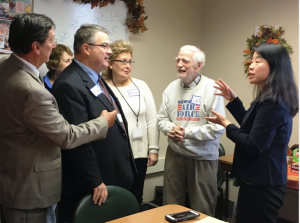 The Worcester Senior Center received a $3,000.00 grant from AARP Massachusetts for an eight-week pilot project known as “A Time to Care,” a program that enhances the quality of life for caregivers of family members with dementia. 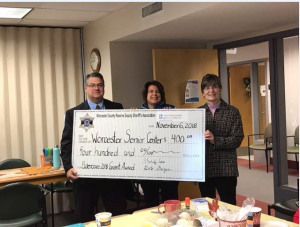 To assist in the continuation of the program, $400.00 was also awarded by the Committee for the Future of Aging, an extension of ElderCare 2018, a collaboration of Central MA Agency on Aging & the Worcester County Reserve Deputy Association. 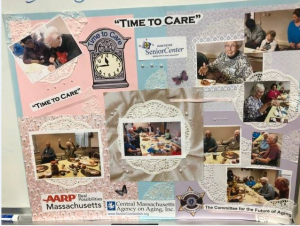 “A Time to Care” provides respite for caregivers of family members with dementia, while integrating their family members into existing Senior Center programming with appropriate supervision and a welcoming environment. 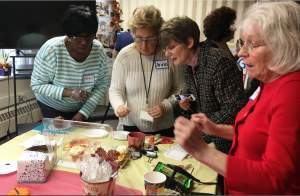 Seven families have already benefited from this expanded continuum of service provided by the Worcester Senior Center, which also host a monthly Memory Cafe for people living with dementia and their caregivers.